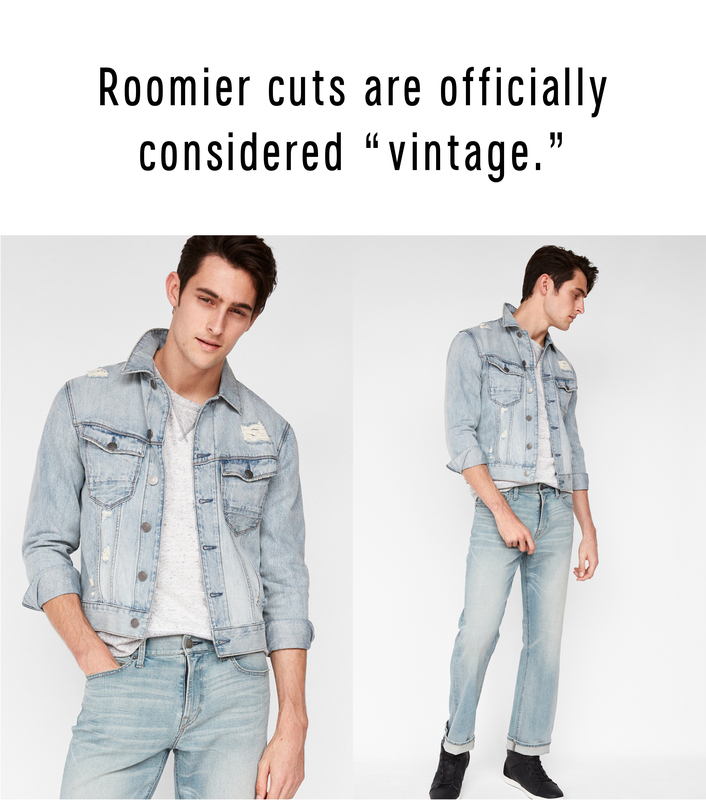 Cigarette-slim jeans will never not be cool (just ask every rock star in history), but only wearing painted-on denim is a move that limits you—literally and figuratively. That’s especially true when the fashion tides change, as they have this season. 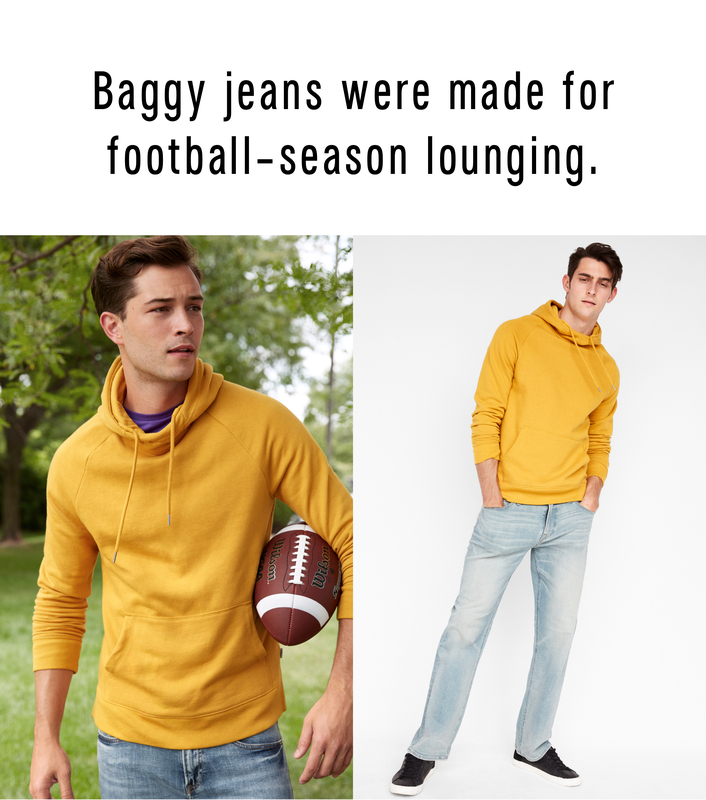 While slim-cut everything has dominated over the last 10 years, sportier and baggier fits are back from head to toe, and especially in denim. Whether you go for something subtly roomy, like our Classic Straight fit, or fully free, like our Relaxed fit, is a matter of taste and your natural body shape. 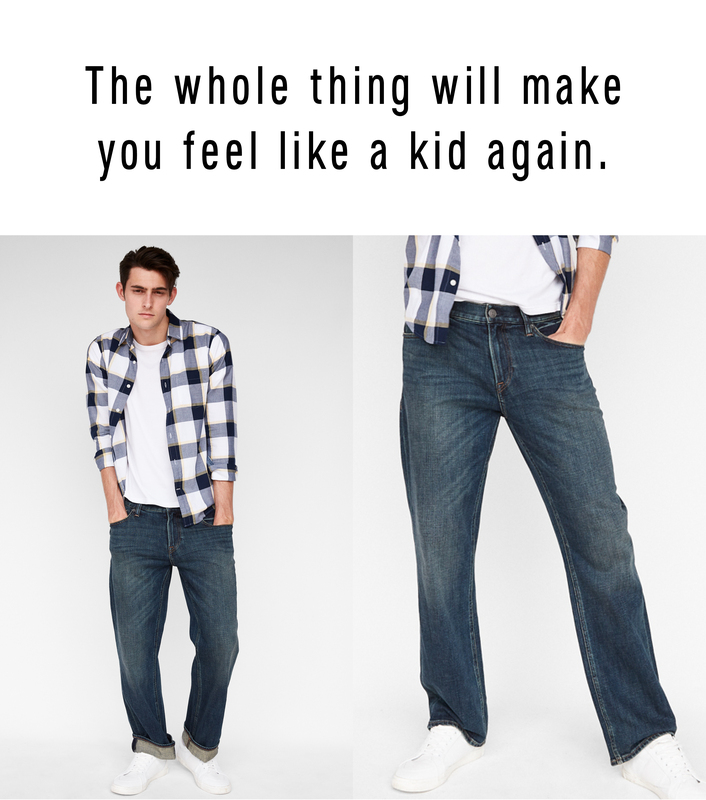 Bigger guys can wear relaxed fit jeans without looking like they just stepped out of 2003, while thinner, taller types don’t need quite as much extra fabric to achieve the same look. As for length, you want an inch or two of extra fabric around the ankles—no more. If you can’t get down with a dad hem at all, then cuff or tailor away the break completely. Remember: Just because you’ve got room in the legs doesn’t mean you need to embrace a puddle hem. Still skeptical? Here are 5 good reasons why you should embrace the baggier side of things this fall. When you want to switch up your style, you don’t need to reinvent the wheel. 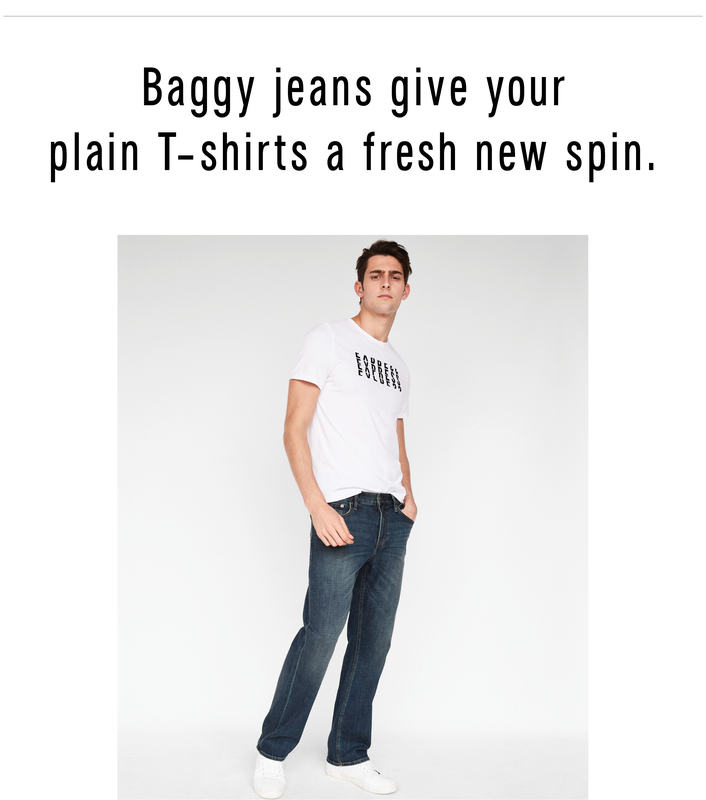 A fresh pair of jeans in a cut or wash you aren’t used to wearing day in and day out can do a lot to make your plain t-shirts and sneakers feel fresh again. This season, make it roomy FTW. From hoodies and track jackets to chunky, old school sneakers, your wardrobe likely has plenty of weight to it right about now. Good news: when you’re not wearing skinny-fit everything, your denim is allowed to breathe too. 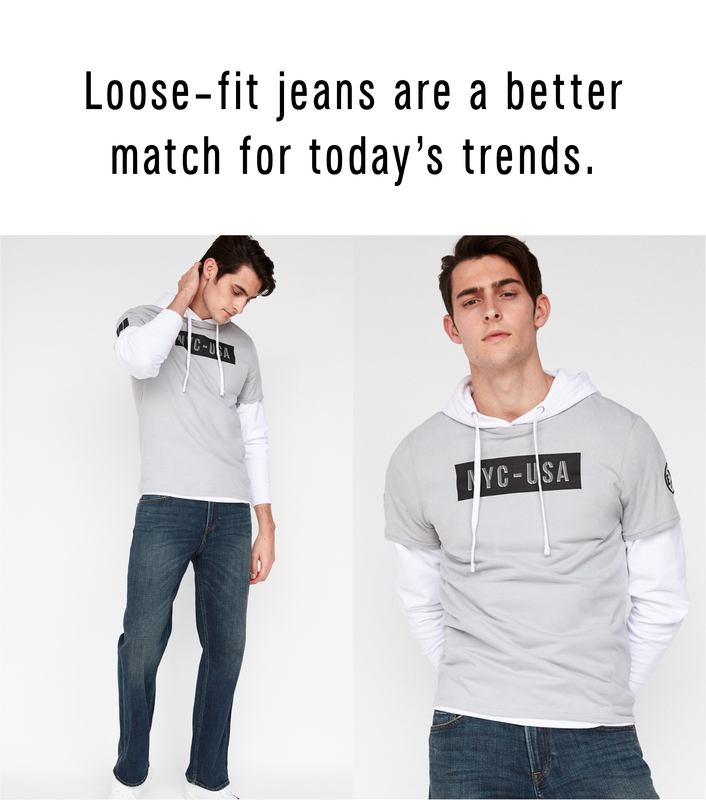 Whether you’re going for the skater look, an ivy league prep vibe, or more of an urban cowboy feeling, relaxed-fit jeans are a great way to nod to your favorite style moments of the past without looking like you’re fully in costume. Let’s be real here: relaxed-fit jeans are not just appealing for their looks, they’re also so darn comfortable. Between fall’s family dinners, football games, and movie-date nights, they’re never going to feel like the wrong choice. Just saying. We love a good suit. A great leather jacket. The perfect shirt-and-tie combo. But there’s something about rolling out of the house in nothing but a hoodie, easy denim, and tennis sneakers that brings you right back to childhood in the best way.